National Museum of the Mighty Eighth Air Force in Pooler is offering enriching, adventurous full-day summer camps during Summer 2016. Mighty Eighth summer camps are week long day camps which immerse the kids in different aspects of military history. All camps are 9AM- 4PM Monday-Friday. For ages 7-12 (expect for the American Military Legends camp for ages 12-16). They all include lunch, snacks, drinks and t-shirts. T-shirt size guaranteed if signed up by May 15. Discounts are available. Go to Facebook at Education at National Museum of the Mighty Eighth Air Force for more details on each camp, or email rlamb@mightyeighth.org. Call 912-988-1832 or email education@mightyeighth.org for more information or to register. The National Museum of the Mighty Eighth Air Force, 175 Bourne Ave. Pooler, Ga, www.mightyeighth.org/education/, On Facebookhere. The National Museum of the Mighty Eighth Air Force is a SouthernMamas.com advertiser. 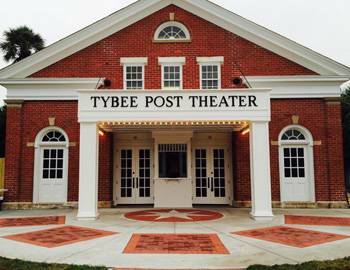 The Tybee Post Theater will show family-friendly movies weekdays during the summer for local families and visitors. Below are the movie listings, dates & prices. Showtimes are 3PM & 7PM. $2 popcorn; $2 soft drinks. The concession stands also serves adult beverages. 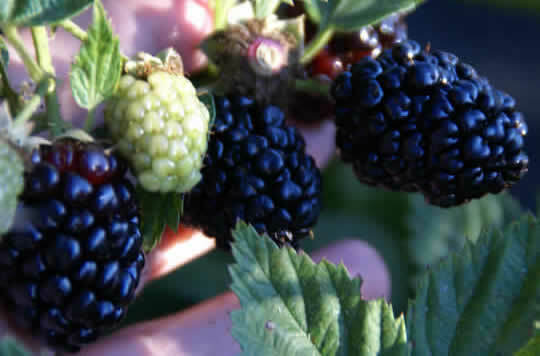 U-pick thornless blackberry season is now open on a limited basis @ Coastal Georgia Botanical Gardens, Savannah. Picking hours will be Monday-Thursday and Saturday from 9 am to 1 pm (Note there’s no berry picking on Fridays or Sundays). Sign up your kids for an all sports summer camp in Savannah that includes basketball, flag football, kickball, soccer, ultimate Frisbee, tag & more for ages 6-12. 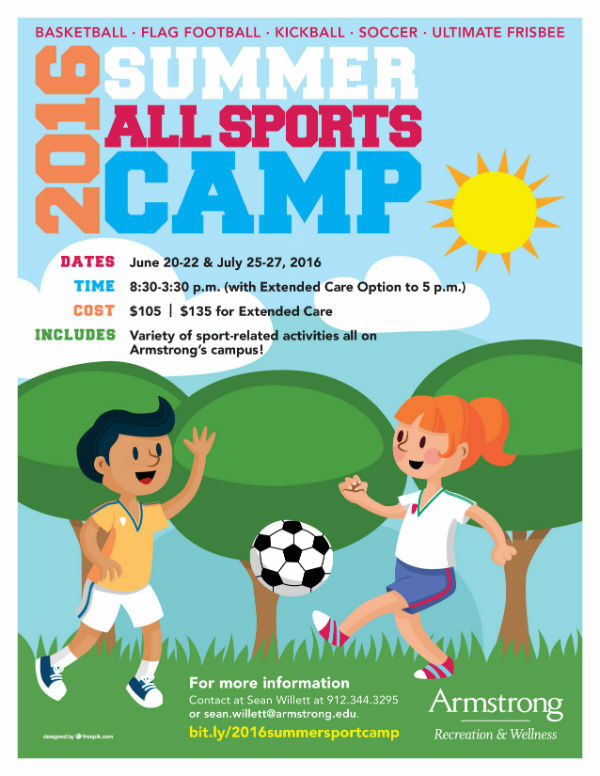 The Recreation and Wellness Department at Armstrong State University in Savannah hosts this 2016 All Sports Summer Camp. Kids will participate in a variety of activities to include; basketball, flag football, kickball, soccer, ultimate Frisbee, tag games, and nutritional and environmental presentations all on the beautiful Armstrong campus! Contact at Sean Willett at 912.344.3295 or sean.willett@armstrong.edu. 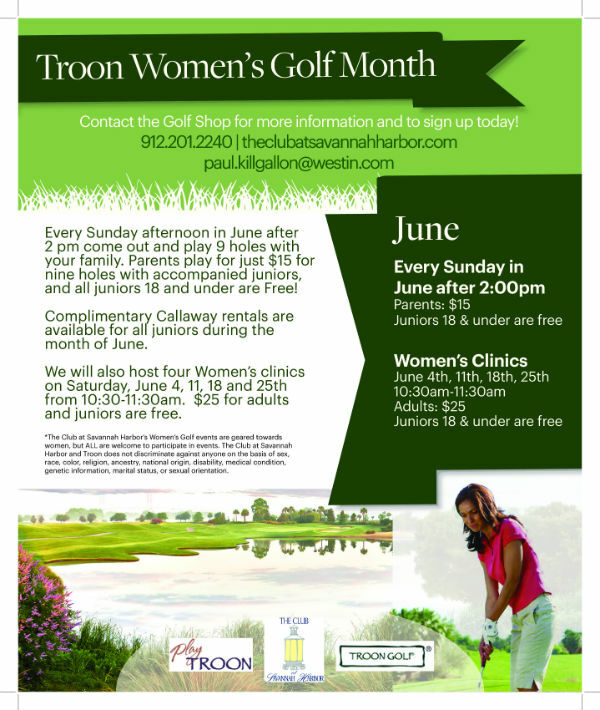 Every Sunday afternoon in June after 2PM come to The Club at Savannah Harbor and play 9 holes with your family. and all juniors 18 and younger are Free! Complimentary Callaway rentals are available for all juniors during the month of June. on Saturday, June 4, 11, 18 and 25 from 10:30-11:30AM. $25 for adults and juniors are free. To sign up, call 912.201.2240 or email Golf.savannah@westin.com. The Club at Savannah Harbor, Hutchinson Is., 2 Resort Drive, Savannah, 31421, 912.201.2240, email Golf.savannah@westin.com, On Facebook here,www.theclubatsavannahharbor.com The Club at Savannah Harbor is a SouthernMamas.com advertiser. 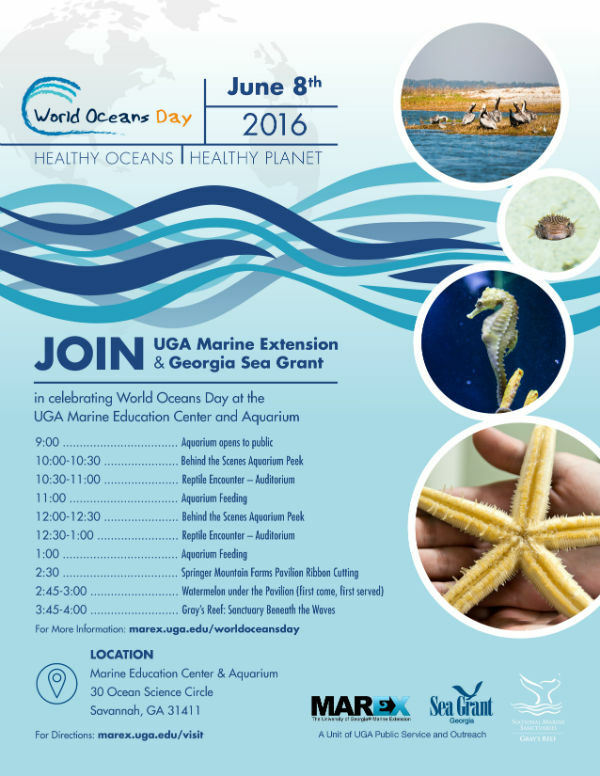 On June 8, 2016 celebrate World Oceans Day at the UGA Aquarium! Come see what Georgia’s first saltwater aquarium has to offer on this nation-wide event and see what lives in the Atlantic ocean off our coast. On World Oceans Day, UGA Marine Extension and Georgia Sea Grant will present a day of special events, including a dedication ceremony for the new outdoor pavilion and family-oriented activities. Scheduled activities throughout the day will include aquarium feedings and behind-the-scenes peeks, reptile encounters and the grand opening and dedication of the pavilion. Click here to view the aquarium’s location in Google Maps. New Kindermusik Savannah classes in June. Kindermusik with 88 Keys is offering a brand-new family class (ages 0-7) Tuesdays at 10AM in June, beginning June 7. Kindermusik Savannah is also starting a new class for 4- to 7-year-olds, which will be Mondays at 6PM, beginning June 6. Join Kindermusik Savannah in June for some extra exciting musical fun. If you’ve never been before, your first class is FREE. Please register online to attend: www.kindermusikwith88keys.com or call 912.988.KEYS. 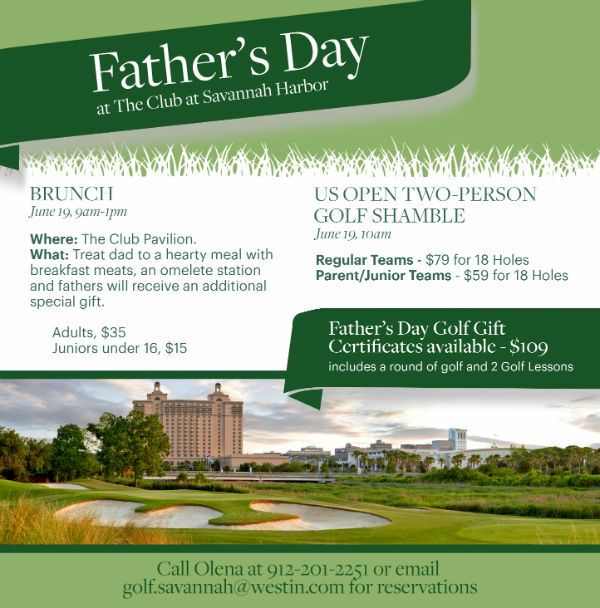 The Club at Savannah Harbor on Hutchinson Island next to the Westin is your go-to spot for Father’s Day on June 19, 2016. Start with a special Father’s Day brunch @ The Club Pavilion, 9AM-1PM June 19. Treat dad to hearty meal with breakfast meats and omelette station. Dads will receive an additional special gift. Father’s Day Gift Certificates available for $109 & it includes a round of golf & two golf lessons. The Club at Savannah Harbor, Hutchinson Is., 2 Resort Drive, Savannah, 31421, 912.201.2240, email Golf.savannah@westin.com, On Facebook here, www.theclubatsavannahharbor.com The Club at Savannah Harbor is a SouthernMamas.com advertiser. 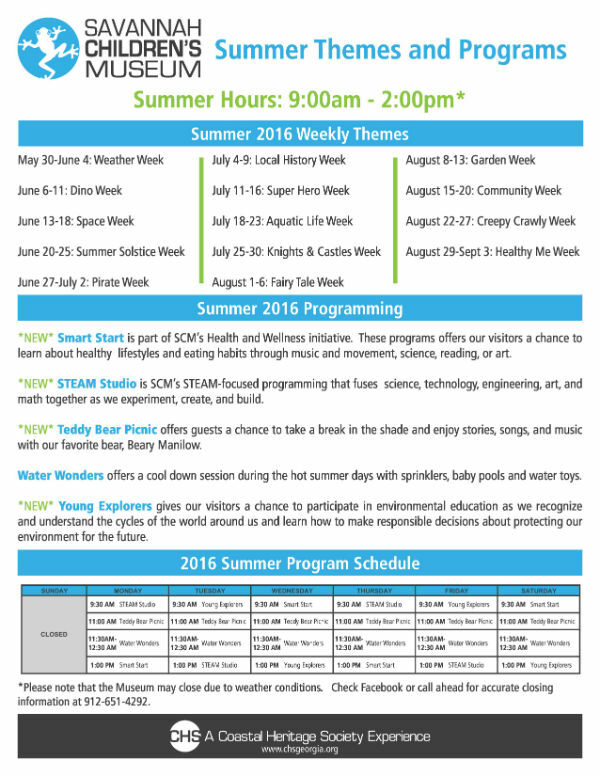 Savannah Children’s Museum is ready for fun filled summer 2016 with camps, summer weekly themes, and *NEW* programs launching May 31st! May 31 2016 marks the day the museum will switch to their summer hours (Mon-Sat 9am-2pm) and new program schedule listed below. The museum’s new programs include Smart Start, STEAM Studio, Teddy Bear Picnic, and Young Explorers. Daily programs are included in the purchase of your museum pass and free for members. On Mon. May 30, Savannah Children’s Museum will be open & will officially begin their summer hours. Enjoy SCM all summer long, Monday – Saturday: 9AM-2PM (closed Sundays) through Labor Day, Sept. 5. 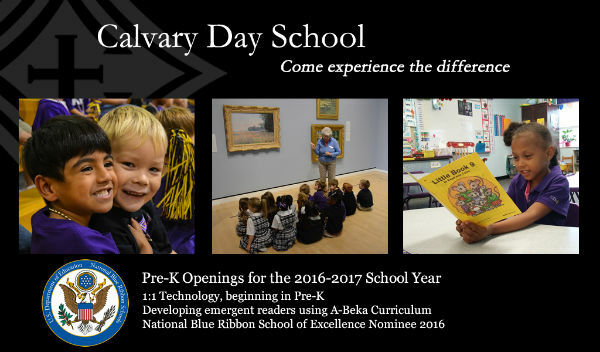 Calvary Day School in Savannah has Pre-K Openings for the 2016-17 school year. Private tours of the school are available. To schedule your private tour select “Private Tour” from the drop down menu here. Calvary will contact you shortly to schedule your tour. Tybee Surf Lessons Surf & Ukulele Camps are week long, 3 hour camps available for ages 6-16. Campers will discover the sport of surfing and learn ocean safety as they participate in fun activities. Throughout the week campers will also learn how to play the ukulele from an experienced Hawaii-based surfer and ukulele instructor. Enthusiastic instructors, whom are Nationally Certified and competitive surf coaches, bring a wide range of experience and talent to enhance these camp adventures. Come for a fun week of “hanging ten” and an experience your child will never forget. All Camps are held near the North Beach Jetty on Tybee Island. Tuition: $300 for each week of camp. Discounts are available for multiple children registered. This fee also includes a beach-friendly ukulele and a camp rash guard that must be worn each day of camp attendance. Camp will provide surfboards to use for the week, but your child may also bring their surfboard. How To Register: Click Book Online button at TybeeSurfLessons.com and select Surf Camp. 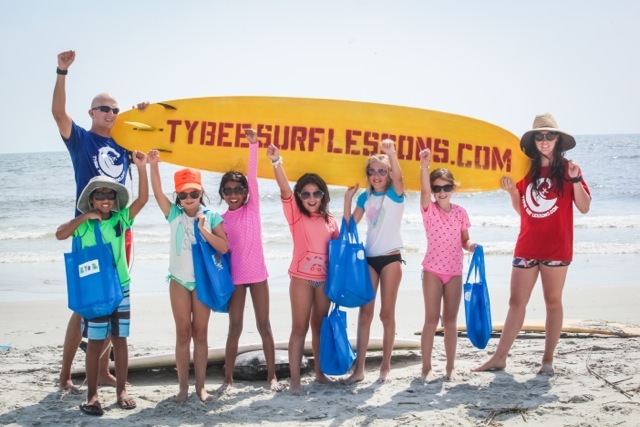 Children should wear their Tybee Surf Lessons rash guard and bring a backpack (not a hand bag) to carry: a large water bottle, healthy snacks, towel, sunscreen, hat. All children must be signed in an out of camp each day by an approved adult. Please apply sunscreen to your child each day before signing them in for camp, as we would not want your child to miss the day’s lessons. Ukuleles will be issued on the first day of camp. Campers will be allowed to take the ukulele home on the last day of camp. Campers will meet Turner at the northernmost North Beach boardwalk (parking lot side) for sign-in, up to 15 minutes before camp begins. After sign-ins, everyone will walk over the boardwalk to the campsite and we will begin the day’s activities. 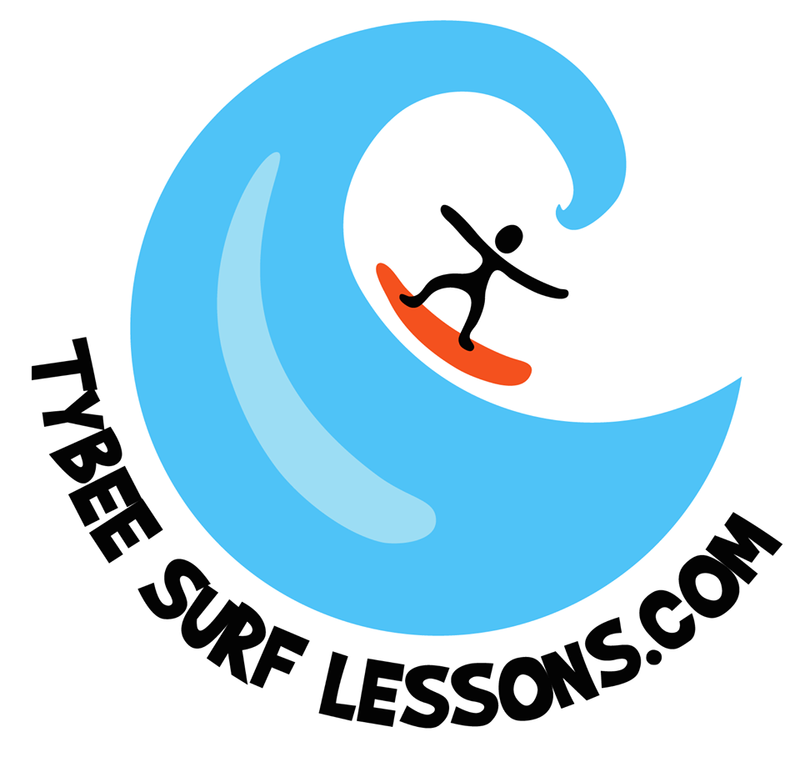 Stay connected by “liking” Tybee Surf Lessons on Facebook here. 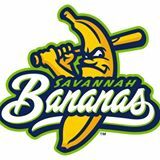 Opening Night of the Inaugural Season for the Savannah Bananas baseball. Game starts at 7 pm against the Lexington County Blowfish. Gates will open at 6 pm. Old Fort Jackson played an important role in the American Revolutionary War, the War of 1812 and the Civil War. Come learn about the history of the oldest brick fort in Georgia during our “A Century of Sentries” program! Experience the daily life of a soldier, while uncovering stories about the many individuals and units once stationed there. 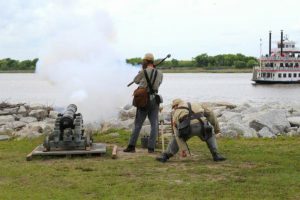 Guests can participate in a variety of activities appropriate for all ages, such as marching, battle reenactments, heavy artillery drills and musket and cannon demonstrations. Georgia State Railroad Museum is partnering with Historic Savannah Foundation for this year’s “Hands on History” Camp, Wed. June 1, 8AM-2PM @ Georgia State Railroad Museum. The free program is designed to give campers an overview of the field of historic preservation and rehabilitation, provide hands-on experience through various practical workshops and offer a look at the world of history, preservation and site interpretation. On Wednesday, June 1st, 2016 beginning at 8AM, Georgia State Railroad Museum educators will host a masonry workshop where campers will learn proper vegetation and mortar removal, how to mix mortar for historic buildings, and techniques on repointing structures. At 9:30AM educators will lead an archaeology workshop, discussing the difference between archaeology and paleontology, which will include stations that focus on documentation at dig sites, connecting clues to create a historical narrative, and reconstructing animal skeletons. Join the site tour by rail, have lunch*, ride the handcar, and enjoy an exclusive behind-the-scenes hard hat tour. Registration is free, but space is limited. Applications are due by Fri. May 27. Please contact Ms. Danielle Meunier at Historic Savannah Foundation, 912-233-7787, dmeunier@myhsf.org with questions. Cost: Free, registrations are limited and are selected based on the students’Personal Statement forms. Deadline for applications is this Friday, May 27, 2016. Need a creative spot to drop the kids while you run errands this summer? Or want to spend some time with your little artist at a special spot? Parents can Drop Off or Drop In, Mon-Fri, 1-4:30PM. Art kits start at $10 and there are lots of new options from which to choose. Drop off option is for ages 4+. For ages 3 & younger, a caregiver is required to stay. Open Studio starts Mon. May 30. No reservations necessary. 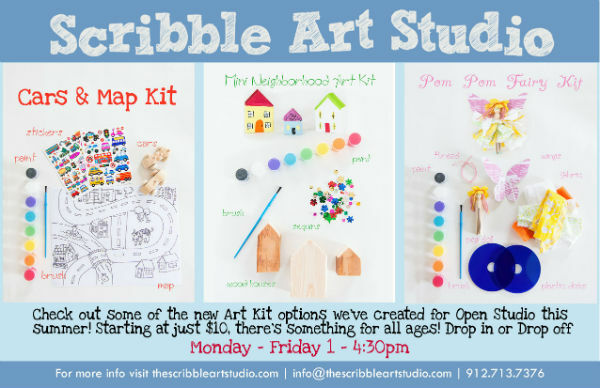 Scribble Art Studio in Savannah also offers art summer camps 2016 for little & big kids. Lots of exciting things are happening at Walt Disney World Resort this summer with the opening of several new attractions, shows, fireworks, & more! Two Sisters Travel has the inside scoop of what’s new at all 4 Walt Disney World theme parks. Frozen Fans the wait is nearly over! 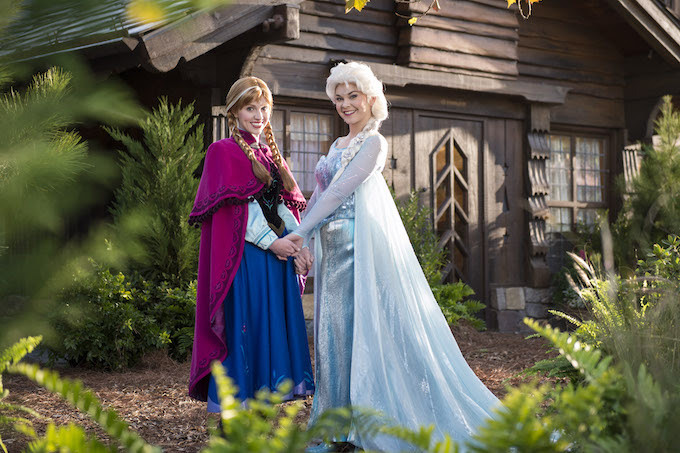 The brand-new Frozen Ever After ride at EPCOT is scheduled to open June 21. Here you can set off on an adventurous boat tour through Arendelle. You’ll even have a new opportunity to meet the sisters at the Royal Summerhaus. Or you can experience the Animal Kingdom Park after-dark in the first-ever night-time attractions & shows debuting on May 27. The iconic Tree of Life will awaken each night with a magical light display and you can even enjoy the popular Kilimanjaro Safaris after sunset! And for a limited-time see The Jungle Book: Alive with Magic. A live show opening on May 28 will feature memorable moments from the film combined with music & special effects. There are even new things happening inside Hollywood Studios & Magic Kingdom. A brand-new Castle Forecourt stage show Mickey’s Royal Friendship Faire will debut on June 17th inside the Magic Kingdom. And Star Wars fans will celebrate the opening Star Wars: A Gallactic Spectacular, an elaborate, nightly fireworks show featuring music from the saga will also debut on June 17. It’s definitely not too late to plan your summer getaway to Walt Disney World to experience all of these exciting new attractions with your family. Book now and save up to 25% off your resort-stay at select Walt Disney World Resort hotels. Get a no-obligation quote online or call 843-284-3241 for information.